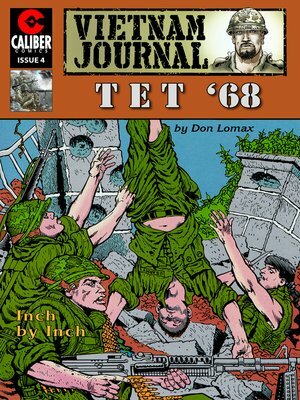 From Harvey nominated writer and artist Don Lomax and taken from the pages of his acclaimed Vietnam Journal series, comes the story of the Tet Offensive during the Vietnam War as seen through the eyes of a war journalist, Scott 'Journal' Neithammer, as he chronicles the lives and events of soldiers on the front line. THIS ISSUE: "Inch by Inch" 'Journal', along with most of the other press covering the war, realizes ultimately that although America was winning the battles, they were ultimately losing the war. And becomes obvious that the Viet Cong will do anything to succeed....anything.